I find myself sending parcels (strictly packets) fairly often and those receiving them like to have real stamps. They hate the white printed labels you get from the post office if you just pass the item across the counter. So how do you do it. First you need to know the rules about size, weight and content, and they are quite complex. From that you can work out the cost. Then you have to obtain stamps to the right value and that is the subject of this note. 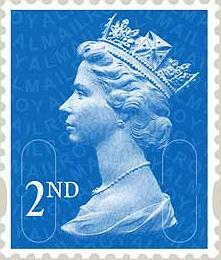 Stamps exist in a variety of forms; there are definitives which are the small stamps with just the queen’s head. There are commemoratives, special issues in limited values and generally prettier. Both can be in gummed or self-adhesive varieties. Both can come in sheets or booklets. My correspondents like to get any and all of these. The really difficult part comes when making up the required value. There are the basic range of stamps which are always available (though some offices have limited stock), called “make-up values.” These allow you to make any total relatively easily. They are 1p, 2p, 5p, 10p, 20p, 50p & £1 and they are all simple head definitives. 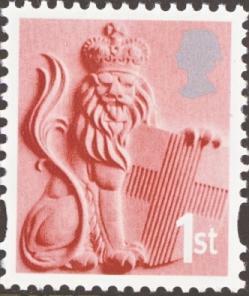 The common inland postal rates are served by No value Indicated (NVI) stamps—these retain their function even if the postal rate changes and currently cost 32p (2nd), 41p (1st), 51p (Large 2nd) and 66p (Large 1st). A 9p make-up value exists to change a 2nd into a 1st. Then there are the special values for other purposes. Currently these are 60p (Europe 20g), 67p (World 10g), 88p (Europe 40g), 97p (World 20g) & £1.46 (World 40g). They exist as definitives but are also commonly issued as commemoratives together with NVI 1sts. As was noted yesterday, 67p, 88p and £1.46 also exist as NVI stamps in booklets. 2nd class commemoratives are only issued at Christmas time. Some values are issued in a form called Regionals with different designs for England, Northern Ireland, Scotland and Wales. There are also four other values—£1.50, £2, £3 & £5—but you won’t find these available for sale at post offices, only by mail order and, except to collectors, only in sheets of 100. That strikes me as ridiculous and rather pointless. 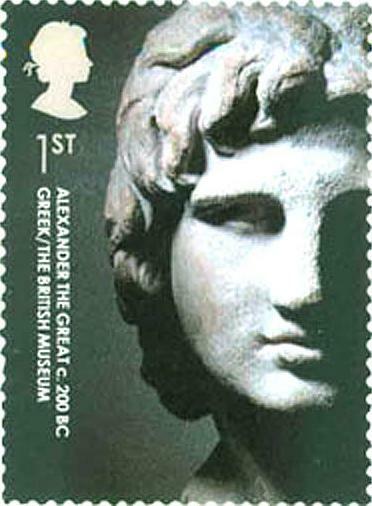 The challenge remains to make up the required packet postal rates with the stamps available, including unusual ones wherever possible. I have noticed, for instance, that £2.24 (1st packet 500g) can be made with 60p+67p+97p which happens to be the values of the special stamps being issued today (Britain Alone, another WWII nostalgia series). Add a Large 2nd and you get £2.75 (1st packet £750g). These are the two values I need most often and it looks like the postal rates have been deliberately designed to allow this, but probably not—just try making £1.72. The counter staff used to be very quick at this but now they just use labels. Here is a list of the most common postal rates required (apart from the simple ones) if you want to try your hand at making up the sets. Of course it is easy with the make-up values but the challenge is to do only with the NVI and the commemoratives. I think all but two are possible. 81p, 96p, £1.11, £1.14, £1.17, £1.31, £1.32, £1.39, £1.42, £1.51, £1.57, £1.59, £1.70, £1.72, £1.82, £1.87, £1.95, £1.98, £2.10, £2.36, £2.38, & £2.65. This entry was posted on 13 May 2010 at 12:45	by Rick	and is filed under Miscellaneous. You can follow any responses to this entry through the RSS 2.0 feed. Both comments and pings are currently closed.